Amphibians are the most primitive vertebrates. They are characterised by their bare, hairless skin, with no feathers or scales. Some species breathe through their skin, while others breathe through lungs or gills. They are cold blooded animals, i.e. their body temperature varies according to their surroundings. 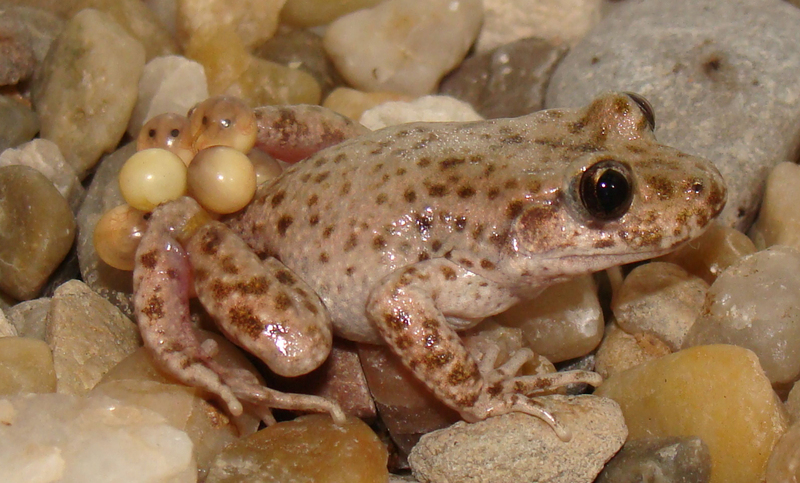 Amphibians are oviparous, i.e. they reproduce by laying eggs. Their eggs do not have a protective membrane (shell). They are therefore laid in wet places, which ensures they are hydrated and survive. When they grow, the larvae that emerge from the eggs and live in the water undergo a process of metamorphosis which prepares them for life on land. Thus, for example, the tadpole that breathes through gills and does not have limbs changes into a frog that breathes with lungs and has four legs made for moving on land by jumping.